To get a Georgia commercial truck driving license, you will have to comply with several state and federal requirements. This means that you will not only need the approval of your state in order to get a license, you will also have to obey the guidelines set by the federal government for acquiring this type of license. This is to protect the safety of drivers on the road as well as to ensure national security. You are also required to exhibit the skills and know-how of driving a truck in local and interstate settings. Almost all states require applicants for a truck driving license to be at least 18 years old if you will be driving inside the state and 21 years old, if interstate. This is also true in the state of Georgia. You should be at least at these ages when you apply for the license permit. The next thing that you have to qualify for is the physical and visual capacities. An applicant for this license must pass a DOT medical certificate before he can be given a permit. He or she also has to have a visual acuity of 20/40 in order to drive. Aside from this, the applicant must also read the Georgia CDL Manual which is available in any local DMV office. The manual contains basic explanations about the skills and tasks that a truck driver has to perform well on the job. It also contains some of the basic information about road signs and driving skills in which the applicant will be tested on in the road test. One must therefore read this manual carefully if they are to pass both the written and practical tests that shall be administered. One has to master not just his driving skills, but the ideas about driving as well. In order to get a learner’s permit for truck driving, the applicant must first secure a DOT medical form from the DMV office as well as pass a criminal background check from the TSA if he is seeking a Hazmat endorsement. After this, he has to submit to a visual exam and then submit these documents together with a valid ID, social security card or number, a recent photo, birth certificate, and a valid driver’s license to the DMV office. He then has to take the written exam and if he passes it, he will be given a learner’s permit. Once the applicant has passed the written test, he will be given a few months in order to train in actual driving. The applicant must practice driving with a licensed individual. The applicant may then apply for a road test before or at the expiration of his learner’s permit. He has to pass several tests such as pre-trip inspection, basic driving skills, and road driving. The road test fee is $50 and this has to be paid before the exam. If the applicant successfully passes the driving exam, he will then be issued a Georgia truck driving license. You must comply with several state and federal requirements to get a commercial truck driver’s license or CDL in Georgia. These requirements are to protect the drivers on the road as well as to ensure national security. 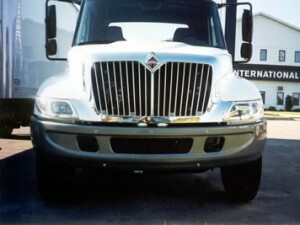 As a driver you are expected to demonstrate skills and know-how driving a truck in both local and interstate settings. In most states, applicants for a CDL are expected to be at least 18 years of age if they plan to drive within the state or 21, if interstate. The next requirement that an applicant must meet is to undergo and pass the physical and visual exams. All applicants are required to pass a DOT medical certificate before they can be given a driver’s permit. Applicants are required to take and pass a written examination before they can be given a driver’s permit. After receiving a permit, they will be allowed to practice actual driving with a licensed individual. To help them pass the exams, applicants should read the Georgia CDL Manual, which is available in any Georgia DMV office. To further ensure that an applicant passes, he or she should enroll in an accredited commercial truck driving school or program. Once an applicant is confident about his/her skills, the applicant can try to take the road tests before or at the expiration of his/her driver’s permit. C.R. England, the world’s largest refrigerated trucking company, is now sending their students to Katlaw Driving School. Here, students can learn to become certified truck drivers through their 3-week course. The students will be placed in a company truck with a trainer to get the necessary training and experience to become professionals after they complete the program. Daly’s Truck Driving training program offers a 17-day course for Class A CDL, and a 7-day course for Class B CDL. Both of these courses are offered by the school as either full-time or part-time. Part-time classes are less frequent, so those interested need to check the class schedules. Their comprehensive truck driving program teaches the Fundamentals of Commercial Driving. Every student is carefully, thoroughly, and expertly trained to perform the job they’ve chosen and are eager to do. It usually takes 8 weeks to complete their commercial truck driving program and costs about $1,500 for tuition, books, and other supplies. To submit a CDL school that is not found on this list please use our contact form. All submissions must include the name, address, and contact details for the training facility. If you are looking for a good truck driving school in the area around Georgia, you can try Daly’s Truck Driving School. They offer a Class A and Class B CDL training program in their campus in as short as 17 days. Daly’s is one of the premier truck driving schools in Georgia due to their realistic training as well as to their thorough class instructions. If you want to learn a lot about truck driving and would not settle for the second best school, then Daly’s would be a good choice. Daly’s Truck Driving School employs real-life settings and situations in training students behind the wheel. They make use of the latest models of equipments as well as the most apt instructors in order to provide their students with what they need in order to earn their CDL license. The school’s Class A truck driving program lasts for 17 days depending on whether you take their full time or part time classes. Part timers would need to spend about twice the length of the training in order to finish the course. They have a new class starting every two weeks for the Class A training. 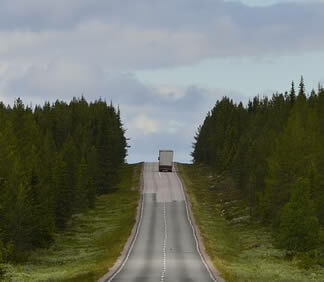 Class B CDL training however lasts only for about 7 days and includes both the classroom and actual driving sessions. The school will assist you in acquiring your CDL permit as well as in getting your CDL license. They have various companies who visit their school each year and are willing to pay for a student’s tuition and other fees for the training. Hence, students need not worry about where they can get financial assistance in regards to the training. They also provide the experience that you need in order to get employed if you already have your own CDL license. The school will give you a wide opportunity to work with several companies in order to gain time on truck driving. You can choose the company to work for as well as the kind of pay that you want. Daly’s makes use of actual circumstance along the road for their training. This means that you are trained in actual situations that may arise when you get a job as a truck driver. Training is done on actual trucks which are from late models which make it closer to what you will be using once you become employed. Lodging and transportation are also provided during the course of the training as well as other benefits. 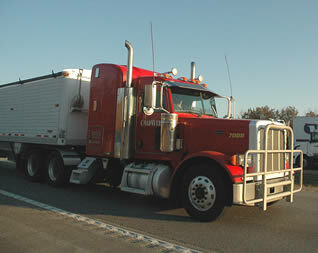 Your instructors would also be persons who have had an extensive experience in truck driving all their life. You can ask them any question that you may have in mind and they can help you out with the coursework. After finishing the training, you will be given a certificate and a diploma for entry level drivers which are recognized in the industry. This means that you can earn your job immediately after completing the course. The school is licensed by the State of Georgia Department of Driver Services is a member of the Commercial Vehicle Training Association.